Douglas Tompkins, former ski racer, world-class kayaker and mountain climber, visionary business leader, environmental philosopher and activist, conservationist and philanthropist, died tragically in a kayaking accident in southern Chile on December 8. I received the sad news while listening to the song “Imagine” and remembering John Lennon, who died on the same day 35 years earlier. It occurred to me that there is a deep connection between the philosophy of Lennon’s iconic song and Doug’s philosophy of life. 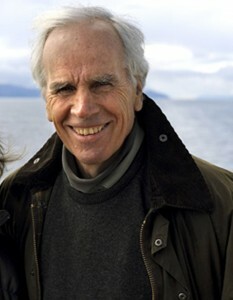 I met Doug Tompkins in the late 1980s, when he became a major supporter of the Elmwood Institute, the ecological “think-and-do tank” I had founded in Berkeley with a group of friends and colleagues in 1984. Our first encounters took place at Doug’s home off Lombard Street on San Francisco’s Russian Hill, where he held a series of informal and intimate salons. publicadas por Carmelo Ruiz a la/s 2:50 p.m.